This is my Apple IIe platinum with 5.25" disk drive. These are some of the original program disks for the IIe. 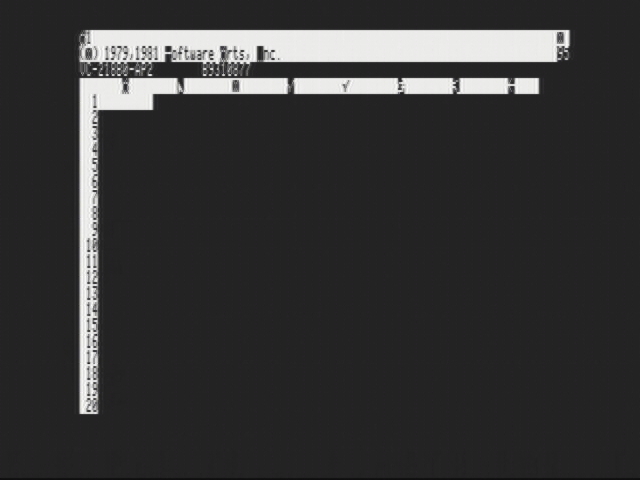 They include DOS 3.3 System Master and Visicalc. Click on picture for hi-res version. This is a view of the interior of the Apple IIe. Click on picture for hi-res version. Another view of the interior of the Apple IIe. 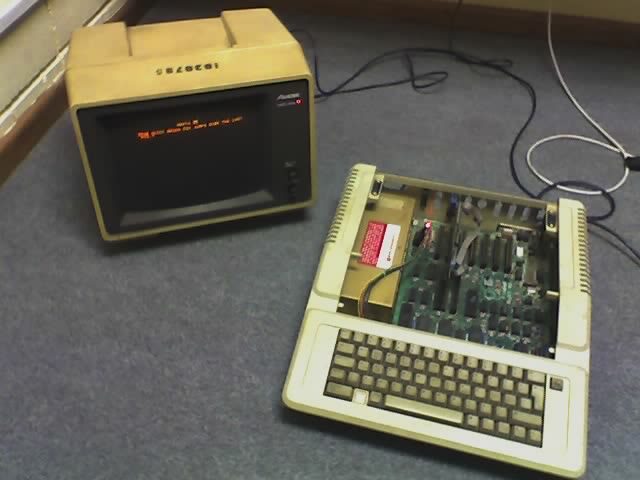 Installed is a Super Serial card (clone from MCPB.com), drive controller and 80-column card. Click on picture for hi-res version. What good is owning an Apple II if you can't make it do stuff. 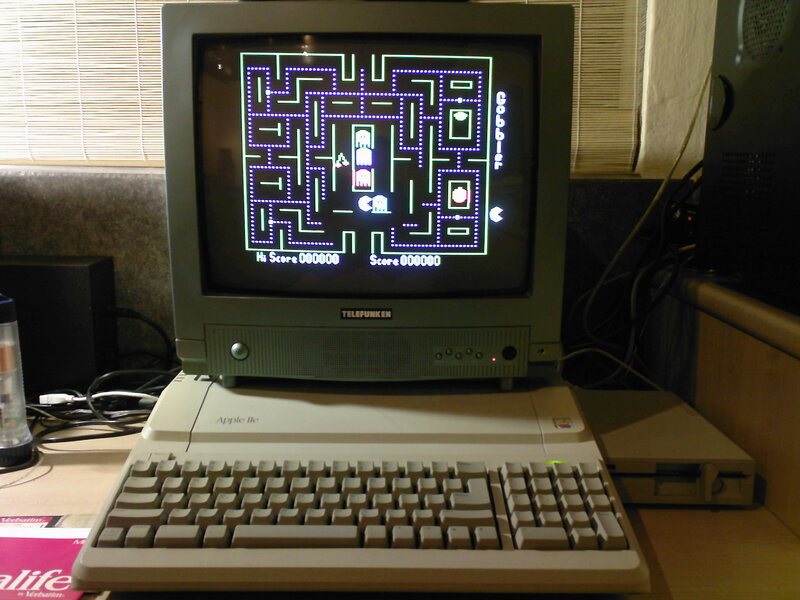 Here are pictures of my Apple II running a variety of software. I'm not a huge fan of emulators.I've always preferred the authentic feel of running software on the actual hardware it was written for. 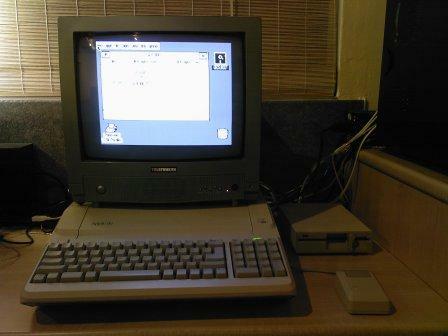 Playing Leisure Suit Larry on my Apple IIGS. 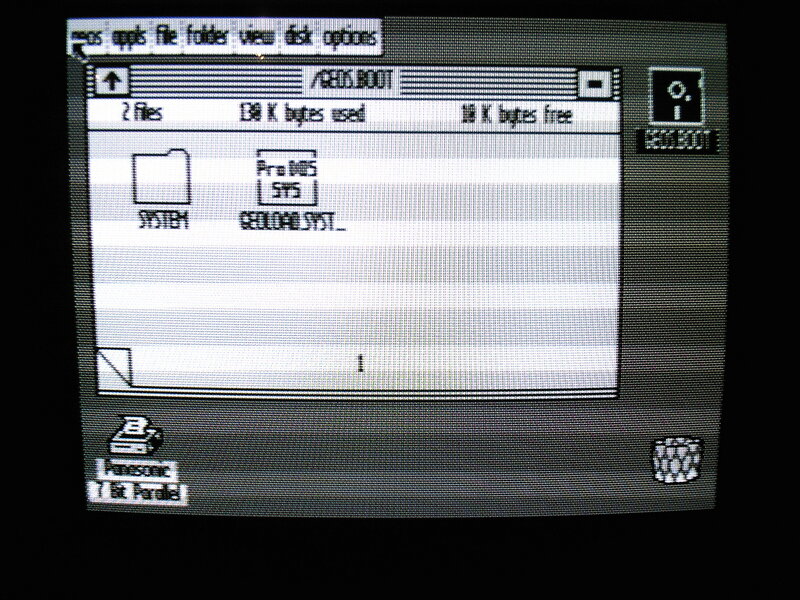 This is a ROM3 version with 256KB RAM card. 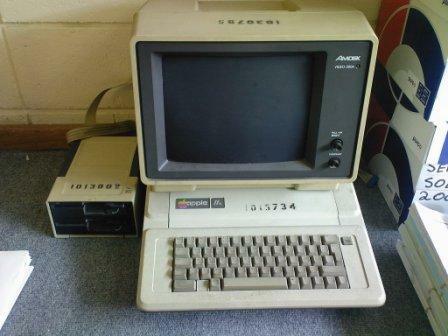 This is an Apple IIe that I have in my office at work. I rescued it from the top of a shelf in a dusty storage area in a remote workshop on campus. It works. It's technically still University property (was probably written off years ago). I'm going to ask my boss if I may have it. It boots fine. It could use a good clean.